In the midst of the tropical rainforest in San Carlos, Costa Rica, sits a needy zoo and animal rescue center; the only zoo in the country without government support. La Marina Wildlife Center is a family run organization that has been individually funded since its opening in 1957. The animals in the zoo are as much a part of the family as the workers and volunteers are, which I had the opportunity to experience while I spent six weeks of my summer volunteering at La Marina. I knew I always wanted to travel to Costa Rica to visit the awesome beaches and to explore one of the few remaining jungles. What I didn’t know was that I would fall in love with the zoo where I was working as well. The Costa Rican culture is extremely hospitable and I felt I was a part of my host family from the second I walked in the door and met them. The people at the zoo were no exception as they taught us how to care for the animals. They allowed me to enter all the animals’ enclosures and clean, as well as give food to the animals. My favorite part of every day was playing with the monkeys. One of the monkeys, Peludo, was very nice and took it upon himself to act as my protector while I was working at the zoo. If I was working near his enclosure when a tourist walked by, he would reach out and give me a hug while screeching at the tourist until they walked away. He also loved to pick through my hair to make sure that I had no bugs and checked my arms for ticks. I was also able to assist in an operation on a tapir, which is one of the most amazing experiences of my life. 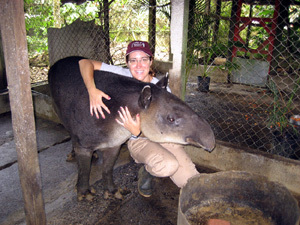 My job was to corral the tapir as well as hold it down during the operation. I have never had the opportunity to get as close to large animals as I did in Costa Rica and, as a 19 year old, I did things that no one will do in their entire life. I fed a tapir from my hand and played with a jaguar; I held a badger and pet lions; I also cared for a baby ocelot who loved to climb up my legs and sit on my shoulders. The experiences that I had and friends that I made in Costa Rica can never be replaced and I can only hope that others will be able to have a similar experience to mine. Being immersed in the Costa Rican culture was amazing. They are by far the most hospitable people that I have ever met and I have traveled the Caribbean extensively. My Costa Rican family was very accommodating and taught me a lot about Costa Rica. I wish I could have spent more time in Costa Rica with them because they were so nice to me and I learned to care for them a great deal. The most difficult part of my trip was saying goodbye to all the animals and the people at the zoo and to my host family as well. I couldn’t help but shed a tear as I walked out of the zoo for the last time. I recommend this trip to anyone and everyone. Working as close as I did to large animals was extremely interesting. The physical work can be difficult at times, but the reward is immense. As I walked into work, I knew I was working for an amazing cause, one that needs more and more financial assistance and volunteers as the zoo continues to grow. The government sends new animals on a regular basis forcing La Marina to scrap together money to build more enclosures. Without the continued support of volunteers and financial donations, it is difficult for the administration of the rescue center to buy food for the animals as well as fund overdue maintenance. The situation is dire for this organization; they continue to provide a nurturing environment for the animals from their own pockets. Clearly, they are very devoted to enriching not only the lives of the animals, but enriching the lives of all those that come into contact with the zoo as a visitor, volunteer, or worker. La Marina will forever hold a very special place in my heart and I can’t wait to have the opportunity to return! 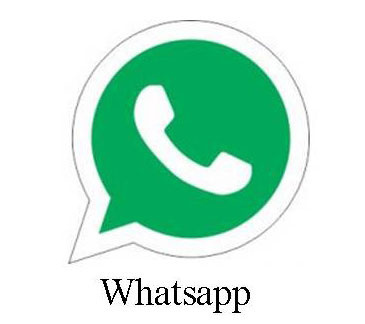 Would you like to volunteer, please send us a request. Two streaks of bright red macaw dart across the colorful Costa Rican sky calling loudly to each other as if announcing to the world below that they are flying by and everyone must know about it. The flamboyant pair fly close to each other, each mimicking the other’s every turn, speed, direction, and call. They are beautiful and free. The bonded couple land together at the tip of a tall brilliantly green tropical tree. One immediately initiates a grooming session with the other, running his large strong macaw beak through the gorgeous plumage of his mate, always ensuring that she looks her best. The two macaws sitting high on their chosen perch overlook a patch of land in Costa Rica that has easily become my most favorite place on earth. During the months of June and July in 2006 I was blessed with the opportunity to volunteer for El Jardin Zoo de la Marina and Wildlife Rescue Center. The zoo is located in La Marina of San Carlos, a region in the upper middle of the country and about a two hour drive north from the Costa Rican capital of San Jose. I am a second year veterinary medical student at the College of Veterinary Medicine at Washington State University in the United States. Through our International Veterinary Student Association and Veterinary Medicine travel abroad program I was able to fund my trip to Costa Rica. The zoo is owned by Juan Jose Rojas and his family who also operate a dairy nearby. The zoo constantly receives confiscated and displaced wildlife from the MINAE (Ministerio de Ambiente y Energía), a branch of government that oversees the management of the Costa Rican wildlife. It is then the immense responsibility of the rescue center to care for these animals. Sadly, the government does not financially support the center. This means that this highly economically challenged rescue center must be supported solely by Juan Jose’s dairy, a small amount of money from admission prices and the intensive physical work, desire and heart put in by “Juan Jo”, his family and the staff of the zoo. The constantly overpopulated center has over 400 animals comprising over 100 different Central American and exotic wildlife species. These include an array of different bird, mammal, and reptile species such as a variety of parrots, toucans, raptors, emus, ostriches, snakes, turtles, crocodiles, caiman, fish, tapirs, deer, collared peccary, capybara, large rodents, monkeys, coatis, foxes, African lions, ocelots, margays, jaguars, and much more! The center is located in a rural Costa Rican community in a tropical patch of well maintained jungle surrounded my gorgeous forested mountains and overwhelmingly green farm lands. The center comprises 27 acres. In addition to Juan Jo, the center is taken care of by four zoo keepers, a landscaper, a part time veterinarian, three admission/visitor center workers, and by the occasional volunteer. The rescue center’s goals are to conserve, protect, reintroduce, and raise those wild animals that have been removed from their natural environment as a result of repossession, hunting, habitat destruction, and the ignorance of humans, and to educate the local and foreign visitors. I came to Costa Rica with few expectations. I had discovered the rescue center on the internet through a website created for the zoo by a friendly and dedicated man in Boston, Paul Sudenfield. It was my first time traveling in a foreign country alone and I hadn’t heard or spoken Spanish in the six years since I had taken Spanish in high school. Only Juan Jo and the veterinarian could speak English. My goals were to learn about Costa Rican culture, observe veterinary medicine in a foreign country and get the chance to work with an outstanding number of wildlife species. Every one of my goals was met and so much more! I stayed with a local Costa Rican family who did not speak any English, husband and wife – Ronald and Rosa, a sixteen year old son – Mario, a thirteen year old daughter – Veronica, and a three year old daughter – Nicole. As is customary for the large Costa Rican family, several relatives lived next door and nearby and were a constant presence in the house. The house is in a beautiful rural neighborhood called Santa Rosa de la Palmera and is a short bus ride or pleasant three kilometer walk from the zoo. The family was a constant source of support and entertainment as each generous member helped me to understand and speak Spanish. I was fed three glorious meals a day; each meal usually involving some kind of combination of rice and beans. Every evening I’d play soccer (a.k.a. futbol) with the children. I taught the neighborhood children several American card games and helped them with their English homework. Each member of the family became a very good friend of mine and would even introduce me to friends and other family members as their “hija Americana” or “American daughter”. It was wonderful to be a part of such a large and close knit family. I became good friends with everyone who works there. Lunch times were always spent in laughter and in happy conversation. Costa Ricans are by their very nature good people. In general, they are incapable of saying a bad word about another person and have a contagious optimistic enthusiasm for life. A favorite saying of theirs is “Pura Vida” or pure life which is said as often as an American would say “cool” or “awesome.” The way of life in Costa Rica is a perfect example of how everyone should live. It is a life where friends and family are more important than work and money. It is a life where the pace is slower and simple joys out number doubts and worries. It is a life where in many cases work is carried out as enthusiastically and passionately as fun and there is ample and equal time for both. In the brief two months of my stay I fell in love with this little zoo in the middle of Costa Rica. I plan to continue helping and supporting it in as many ways as I am capable for as long as the rescue center survives. The overall driving purpose of the center is to benefit the animals of Costa Rica and in turn benefit the visitors by showcasing some of these amazing animals. Unfortunately, despite the heart and deep commitment shown from everyone involved, this purpose can not always be met with ideal conditions. I apologize that this hasn't come any sooner. If you would like any pictures or anything else, let me know! Thanks again for allowing me to volunteer at the zoo. I had an amazing time,and will remember all that I experienced for the rest of my life. Jardin Zoo La Marina has a plethora of opportunities awaiting its volunteers. I was a volunteer there in June and July of 2005, and had amyriad of experiences. No single day was a like, but a typical day wouldconsist of watching the behavior of the animals, examining the animals andthe enclosures, feeding the animals, cleaning enclosures, assisting inveterinary procedures, and maintaining the zoo. The zoo offers a broad range of knowledge, much having to do with animal behavior and nutrition. I assisted in taking feed and water to birds and other mammals, and even enjoyed throwing meat pieces to some caiman. It was a joy to watch the baby deer frolic or the one month old tapir Romeo amble after his parents. I especially enjoyed working with the large felines because of their interesting behavior, and the Amazon parrots with their friendly whistles and calls of “¡Hola!” The zoo is a lovely place and has an effective atmosphere. The staff at the zoo is very welcoming and daily exhibit their deep love and affection for taking care of the animals and the zoo. The owner of the zoo is constantly working to make the zoo the best zoo possible with the resources available. The veterinarian on staff has extensive knowledge of wildlife animals and is very generous with this knowledge. There are always improvements in progress at the zoo. With what ever money can be found, new and better enclosures are made. While I was at La Marina Zoo, a project to remodel the zoo entrance and enclosures had begun, and some beautiful, new enclosures were constructed for some turtles and Amazon parrots. The zoo is very welcoming to volunteers. I would recommend the experience to anyone looking to discover more about exotic animals and wanting to lend a hand to a place that works so hard to benefit the welfare of Costa Rica’s abundance of wild animals. This report was written by a volunteer named Kendra. She stayed at the zoo in march and april of 2005. the first picture is one of Kendra with a baby sloth. Strange but they have found a new use for a pool table. The second is a picture i have tried to blow up better showing the baby sloth. the sloth is holding onto a stuffed animal. they seem to enjoy holding on to stuffed animals. it seems to make them feel secure and comfortable. I worked as a volunteer at Centro de Rescate Jardin Zoo La Marina in March and April of 2005. It is much different from a typical zoo as it functions primarily as a rescue and rehabilitation facility for Costa Rica’s wildlife and its objective is to promote conservation and encourage protection of plant and animal species. There are over 400 animal residents here including tapirs, jaguars, crocodiles, monkeys and many species of birds. Each year approximately 150 injured, abused or orphaned animals are brought to the center by individuals or MINAE, Costa Rica’s wildlife and environment ministry. In 2004 alone, there were 168 new animal arrivals and as is the goal, many are able to be released once they are rehabilitated. The animals are housed in facilities that maximize their comfort and mimic their natural environments. There is even a nature trail to stroll along where you will actually be walking amongst some of the less aggressive animals as you wind your way past enclosed areas containing residents such as tapirs, white-collared peccaries, and lions. One of my favorite areas is the monkey location, where upon your arrival they swing and play from the trees. Another of my favorites is the crocodile enclosure which allows for a clear view of the many crocs and caimans as they sun themselves alongside the turtles near the running stream of water. Of course, another highlight is the tapirs, many of which are docile and friendly enough to get near but are kept in enclosures which prevent you from getting too close. They are an amazing sight and the zoo has developed a successful breeding program for the reproduction of these unique and majestic animals which are highly endangered. The staff at La Marina consists of very special people and they are passionate about the animals and what they can do to keep them safe and comfortable. They meticulously keep the living environments clean, and are knowledgeable and approachable if you have any questions. There is a full-time veterinarian on staff who specializes in wildlife health and works hard to rehabilitate the injured and abused animals that are brought in each year. The owner, his family and his staff have created a wonderful environment for the animals to live in and for the people to visit. The rescue center has been an amazing place for me to volunteer my time. I feel fortunate that I was able to contribute to the center and do my part for Costa Rica’s wildlife. The center continues to welcome volunteers, whether for two days or two months. And most importantly, they are continuously seeking donations in order to maintain the facilities and provide feed and care to the animals. It is an unforgettable experience for all those who visit Centro de Rescate Jardin Zoo La Marina. This is a draft of information the volunteer made during her stay. more information is available. Organization Information Jardin Zoo La Marina Rescue Center was established in 1953 as a private refuge for maltreated wild animals but soon saw rising costs of maintenance. To offset these costs it opened to the public in order to receive financial aid from visitors. At that time, it was known as “Zoológica La Marina” (La Marina Zoo). Later, the current owners and administrators transformed the zoo into a rescue center and today the zoo has a project which teaches citizens to have more respect for wildlife. Through the Environmental Education program, the zoo passes on to its visitors many conservationist concepts such as how to value, love, and protect the environment. Situation Description The project is recognized with the name “Jardín Zoo La Marina Rescue Center”, a place for the protection of ill-treated, wounded, orphaned, and injured wild animals. There are also animals that have lost their homes and the center has taken the obligation of giving them one. Each year approximately 150 new animals are brought to the center by concerned individuals or by MINAE (Ministerio Del Ambiente y Energia), Costa Rica’s environment and energy ministry. These animals have been abused, repossessed, orphaned or homeless due to loss of habitat. Currently there are over 400 animal residents at the center that require feeding, cleaning and veterinary attention. Activities include the building of an interpretive center for the purpose of educating visitors, building new and more spacious cages, maintaining existing cages, providing daily feed for the animals, providing personal veterinary care of existing animals, assessing needs of new animals and providing intensive personal care to orphaned babies. These activities will help to promote wildlife conservation, increase protection of endangered species, increase public knowledge of conservation, and enable continuation of breeding programs for endangered species. Currently the center receives no outside funding and operating costs must be covered by visitor entrance fees. Future funding is based on the continuation of visitor entrance fees and the anticipation of future government funding. ction rate of animals that are bred in the zoo, successful nurturing of the orphaned animals that are brought to the center, successful release of rehabilitated animals, and increased awareness of conservation and environmental issues to the public.